Ensuring People, Processes and Systems are working together in harmony to achieve positive and sustainable results, is fundamental to the long term success of any organization. Our Associates support organizations who have temporary operations management requirements on an interim basis. We deploy interim COO’s, CEO’s and functional managers in a variety of businesses to fill gaps and to provide support and bandwidth in times of heightened activity. Accelerate Evolution Associates also help businesses with building Operations Excellence programs, driving Continuous Improvement projects and implementing ERP systems both in project lead roles as well as on a subject-matter-expert basis. 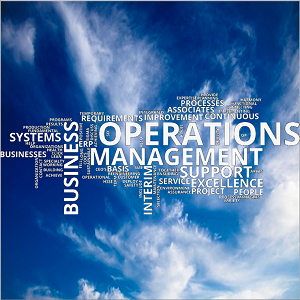 Click here to contact us to discuss your Business Operations Management requirements.